Do you have, or are expecting to have, a newborn and a toddler? 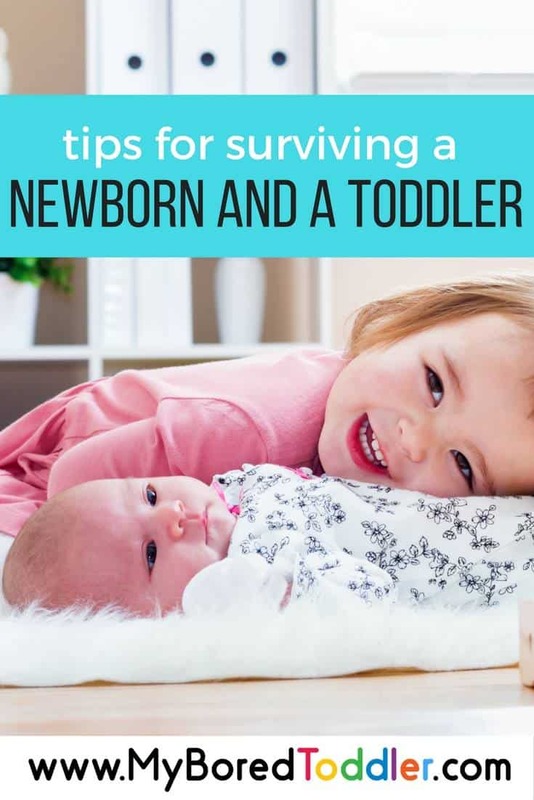 Are you wondering how to survive with two children under two? I’m not here to tell you that it will be easy (it won’t be! ), or that there is a magic trick to make everything run smooth (it won’t! ), but as a parent who has been there I do have a few handy tips. Practical tips. Tips they don’t tell you at the hospital. I went into my second pregnancy with a lot of questions, and many I didn’t get the answer to until it was too late! Here’s your chance to learn from my experiences and my many mistakes. I also asked some readers to share the questions that they had about coping with a newborn and a toddler and here they are. Should I accept offers of help? YES! YES! YES! If you were too proud to accept help the first time around, change your attitude and learn to not only accept help but to ask for it too. Friends and family generally want to help so let them. Shopping with a newborn and a toddler is not fun. Never. Ever. If you do have to go out, find the stores that have the trolleys with the newborn and toddler seats. Even if you find one of those, the chances are that half way around the store the baby will need feeding or your toddler will need the bathroom and you’ll have to abandon your shopping trip. My tip is to embrace online shopping. Most supermarkets now have online shopping with home delivery (it’s worth the delivery fee, trust me!) or click and collect, which is where you order online and then collect from the parcel pick up area. Click and collect is normally free, so if you are on a strict budget this is the way to go. Alternatively, order the click and collect and have your husband or a family member collect them for you on their way to visit. Where should I park at the grocery store? This one sounds like a no brainer. I’m sure you’re thinking that you should obviously use the pram park, but not necessarily. 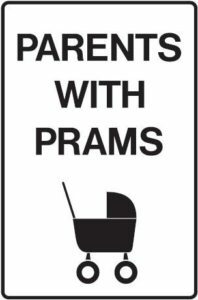 Most shopping centres have about 3 pram parks so your chances of actually getting one are slim anyway. They are also generally not located near the trolley return bay. The pram park that seemed so great when you got there suddenly poses a dilemma. How do you get both children in the car and return the trolley? The spot you really want is next to the trolley return bay. 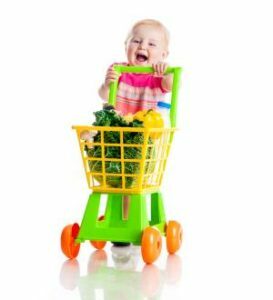 Put your groceries in the car, put the kids in the car and take the trolley back without having to leave the kids unattended. 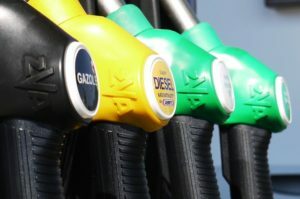 This sounds like a really silly problem but if you have a newborn and a toddler, getting them both safely out of the car and into the petrol station to pay is not an easy feat. The best tip for this to send someone else. If anyone asks if they can do anything to help, give them your credit card and your car keys and send them on their way. They really won’t mind. If you do get stuck in the car on your own with the kids, then find the petrol stations that let you pay at the pump. There are not many around as they like you to go into the store to buy extra items, but there are a few. This way you can leave the kids safely in the car while you pump and pay and be on your way. What type of pram should I buy? If you are in the market for a double pram or stroller bear in mind that side by side prams and strollers are a huge pain! They don’t fit through doors, you can’t walk around most shops and you can’t even get through the checkouts at a lot of supermarkets. They can’t fit easily on public transport either, and if you do get the chance to go to a cafe or restaurant there’s generally no out of the way place to store the pram. They are a huge, expensive pain. Learn from my expensive mistake and buy one of the double prams that sit on top of each other like the ones below. I briefly used baby carriers with my eldest daughter, but found them a lifesaver with my second. This time around we had places to be – my daughter had dance classes and play dates at the park and taking a bulky pram wasn’t always convenient. My eldest was also at the age where she needed help with everything. Using a baby carrier made life so much easier. It meant that I could still interact and help my 2 year old while the baby fed or slept. I really like the ErgoBaby carrier, although there are plenty to choose from. How do I get a shower? This is a tricky enough question with only one child, but with a newborn and a toddler it’s even trickier. The chances are that they won’t ever sleep at the same time so my suggestion is to wait until the newborn is asleep and give the toddler an activity that they can play with in the bathroom. Sensory bottles are great for this. If it’s the toddler that’s sleeping, then put the newborn in a bouncer in the bathroom instead. How do I entertain my toddler while I’m feeding my baby? 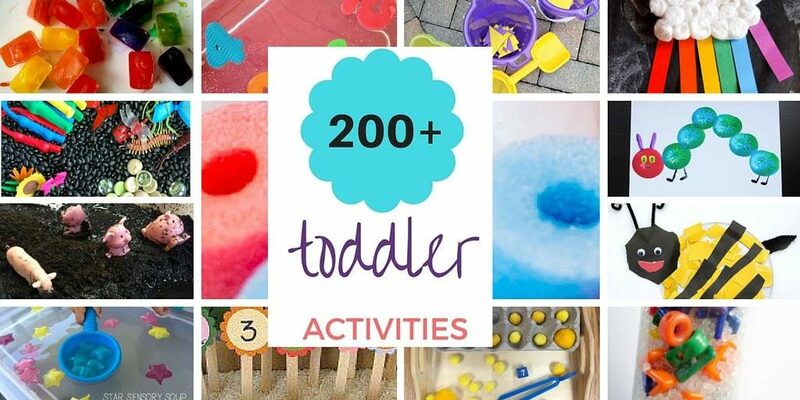 The key to keeping your toddler busy and happy while you feed or attend to your baby is to provide them with a special activity. Have a special box of toys that they only play with at feeding time. Sensory bins and busy bags are great for this. I would also let my toddler play games on my iPad (a rare treat!). 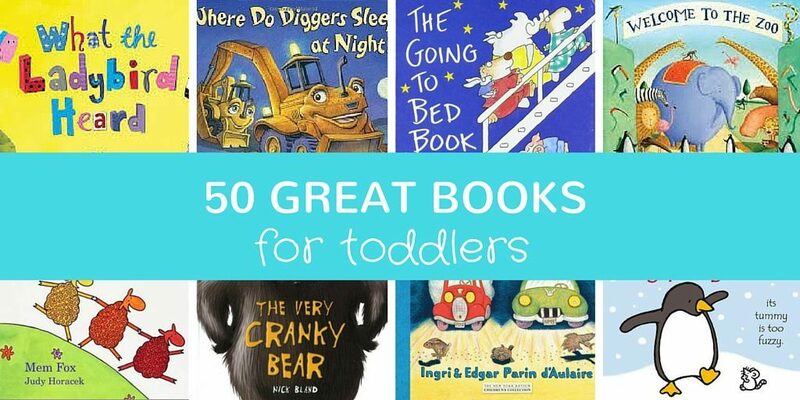 You can find some of my recommended educational apps for toddlers here. Are you about to embark on life with a newborn and a toddler or have you been there and done that? Do you have any other burning questions or advice to give? I’d love for you to tell us in the comments of start a discussion on Facebook.